Hyderabad: Taking strong cognizance of unethical practices by medical practitioners, the Telangana State Medical Council has ordered suspension of 7 doctors under different cases. The Council’s executive and general body meeting held yesterday, passed resolutions unanimously against these doctors, suspending their licence for varying periods, TSMC Chairman E Ravindra Reddy said in a release. 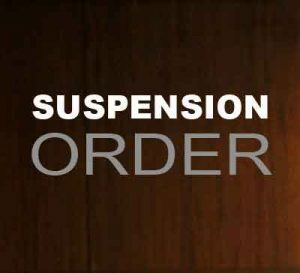 Dr Chandra Bhushan, an orthopaedic surgeon at city-based Global Hospital, has been suspended for a period of two years for ethical infringement and for performing height lengthening operation on a young person named Nikhil Reddy. The operation on Reddy created a controversy as it was performed allegedly without the consent of his parents. The youth continues to suffer from pain post-surgery. Speaking to The Hindu , Dr. Ravindra Reddy, Chairman TSMC said there was no precedent of such a surgery being undertaken. “It is a rare and experimental surgical procedure that could not have been taken up without the express consent of the parents of the patient,” he said. “There was no need for the doctor to have performed such a surgery that left the patient bed-ridden for months on end,” he added. In another case, TSMC has ordered suspension of another doctor named Namratha, who runs a Test Tube Baby Centre at KPHB, Hyderabad, for five years, while also imposing a lifelong ban on performing surrogacy. TOI reports Dr Namratha handed over a child to an NRI couple, who was not connected to them biologically but was delivered through surrogacy. The Council, however did not provide full details of the case which invited disciplinary action against her. 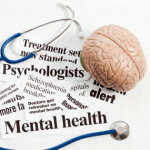 Three other physicians — Dr Rahul Carter, Dr Harikumar Ravva and Dr Minhaj Zafar Nasirabadi — were suspended for six months each for alleged unethical psychiatric practices, the release said. It is reported that while certain rehab centres in the state were registered under the name of these doctors, treatment at the said centres were being provided by people who have no medical qualifications. One Dr T Manoj Kumar, has been suspended for three months for allegedly performing indiscriminate appendicitis surgeries in Karimnagar. In the same case, seven other doctors have received a warning for their alleged unethical practices, the release said. Dr Krishna Kant Reddy has been suspended for “non- compliance” of civic body orders of displaying MBBS equivalent degree. The suspension will last till he complies with the orders, the release said. Besides this, the names of two persons have been recommended to police to initiate legal action for practicing and dispensing allopathic drugs without any qualification. Dr. Ravindra Reddy, Chairman TSMC .I donot know how far Dr. Ravindra Reddy, Chairman TSMC, hang on to to the chairman post .he should resign gave a chance to others. otherwise its undemocratic???????????? As a patient I do not agree to the suspension of Dr. Chandra Bhushan. With over 30 years of blemish less track record, including providing free service to the needy I do not think his Ethics can be questioned. I have found him to one of the rarest holistic medical practitioner with the scalpel or heavy dosage being his last resort. My entire family and few friends have been his patients for the past over 10 years and even sometimes seeking his advice on non ortho issues also. From what has been published, in the current case, Nikhil Reddy is an adult to where is the question of seeking approval from his parents. If this is the logic of the council and what is the age when parents approval is NOT NEEDED. If the patient was 50 years old also would the council still have insisted on Dr. Bhushan getting the parents approval for the surgery? To me this appears the case of throwing the baby with the bath water or over enthusiasm of the council to show action. I am glad action has been taken against these Doctors. RGUHS is taking a step in the right direction by focusing on teaching Medical Ethics right from the start. It is definitely good example for other state medical council. Yes Pranay..you are absolutely right…other state medical councils also must take lesson from this act of telangana state council and punish guilty doctors by taking suo moto cognizance upon complaints received against them..usually state medical councils in India tries very hard to defend erring doctors deliberately which must be stopped now….